Happy New Year! I want to the 2016 off right and blog more frequently. Here is one from one of my most recent weddings. The reception and ceremony were on location at Mendenhall Inn. I always enjoy working with this venue. They do a wonderful job and have beautiful grounds. The spread of food they put out is to die for. Meet Dave and Jennifer! This couple is just too cute for words. The whole day was full of fun and laughter! After you see these photos your gonna wish you had attended their wedding too! The DJ and Owner of Rock the Block Entertainment had the dance floor packed the whole evening. He was even offering some dance lessons. The toast from the best man and maid of honor were heart felt and funny! 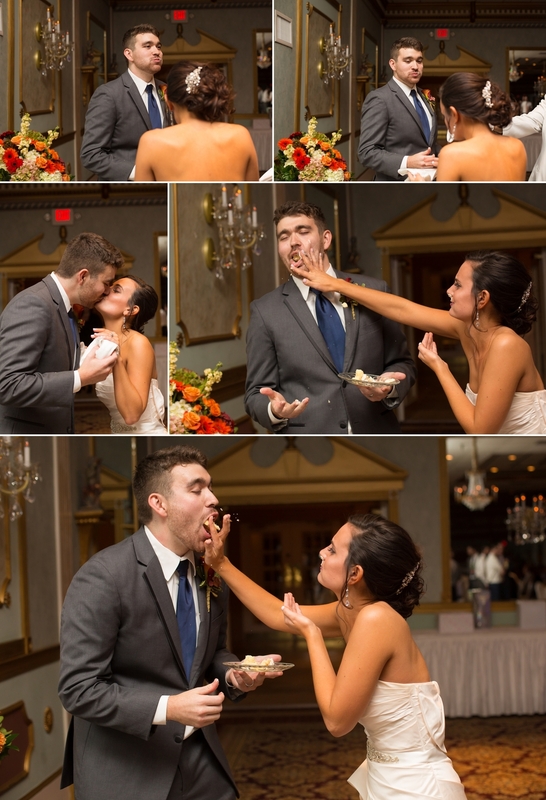 This bride and groom took the cake cutting, I mean cake smashing to a whole new level. I love all of the excitement on their faces and in their smiles.